Is money a taboo subject with your friends? I’m not sure about anyone else, but I don’t think it’s taboo to talk about money. I do, however, recognize that it may be awkward and thus considered a bit wrong by someone to talk to others about how they should handle their finances. Thinking back on conversations we’ve had recently, money has often been a part of the subject matter. I’ve heard friends and family members say they want to improve their finances and then they mention something that completely contradicts their stated goal. It’s kind of like when you hear people say they’re watching what they eat and then you notice that they’ve ordered and eaten their appetizer, entree, dessert, and even sampled on some of yours. Do you let things like this slide? If not, when do you speak up and make a suggestion? And if you do feel compelled to talk to them, how can you encourage them to actually do something? I wanted to go over a few topics that have come up in casual conversation when hanging out with our friends. Hopefully you can relate, and may have an insight that could help with these sticky situations. Our friend invited us to join him and his wife for a conference and show in Los Angeles this summer. Since we’ve never been to LA, we thought this might be a great excuse to go, see some other friends we’ve haven’t seen in a while, and have a good time. Honestly, it sounds like a great idea. I was already thinking about finding a cheap flight and start budget for the trip when our friend interrupted my thoughts. He mentioned that he was putting it all on his credit card to get some rewards. At first, I thought that seemed fine. After all, we typically reserve hotels and rental cars with a credit card and then pay it off once we get home. Later in the conversation, though, he told us that he’s still in debt from some of his elaborate vacations. He mixes business and pleasure, extending work trips for fun, and it had resulted in five figure debt. I kind of backed off of even approaching the topic of funding a big purchase with your credit card. I couldn’t think of a way to begin the conversation without putting him on the defensive (which is a natural reaction). As you’ve probably figured, I hate to see people carry high interest credit card debt, and I worry when they use dent to pay for their wants. Saving up in advance may force you to delay your purchases, but once the purchase has been made, the hard part is over. You can enjoy your TV or vacation and not worry about how you’re going to pay it all back. We mentioned to him is that we’d definitely like to go, but we’ll need to check our budget and set aside money. I think was probably the best approach in this situation because we’re not going to convince someone in one conversation to change their spending habits. We can, however, show him how budgeting can make it possible to have a debt free vacation. I’ve heard a few of my friends say that they find it impossible to budget. Like the latest diet or fitness routine, they start off gung-ho with a ‘perfect’ budget that accounts everything to the last penny. They soon wind up going off budget, however, and either wind up back where they started or worse. This is something I completely understand. I empathize with them on how hard it can be to budget. The most common mistake is that their system is too strict and there is not cushion between what should happen and what actually happens. I feel a bit better about how we usually handled this because we gave them a couple of tools that have helped us personally with our finances. I also told one friend some of my mistakes with my first few attempts at budgeting and how automating our bills has made it much easier to stay on track. I think this has been the easiest financial topic for helping other to change their personal finance habits since many people can relate to how hard it can be to start. 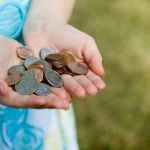 Another topic I hear a lot is creating an emergency fund. It can be hard to stay on top of bills while setting aside money in a savings account, but you have to do it. I’ve had some friends lose their jobs or have their hours cut, so I know how important this can be. I had a friend that was living paycheck to paycheck and wanted to have some money tucked away for an emergency. She had just recently gotten her jobs (yes, she went from no jobs to 2 jobs) and didn’t want to wind up back in the predicament that she just got out of. Whenever people ask for ideas or advice, I take it as a green light to give them some tips that can help them right away. I suggested that she cut down on things that she doesn’t really care about and use that money to start her emergency fund. It wasn’t a big step (she’s going to stop buying so many magazine at cover price), but it’s a sustainable way to fund her savings. I also talked to her about using money management tools like Quicken or Mint to see where she could adjust her budget and save some more money. We compared options for different savings accounts. Even though ING Direct (where we bank) offered a high interest savings account, she felt more comfortable at her local credit union (another good option). The good news is that I was chatting with her again a couple of weeks ago, and she now has two months of expenses tucked away. It felt good to help a great friend and she appreciated the suggestions. If only it was like this every time! How do you handle money discussions with your friends and family? What are some ways you’ve helped others? What are some mistakes you’ve made when talking about finances? I tend to recommend books. It gives a certain amount of distance to loan or gift a good PF book to someone in need, and it seems less personally critical. The problem I find is that when we talk about getting our financial house in order, or spendthrift relatives then decide to ask for money. Or talk trash about us behind our backs to other family members. So we’ve backed WAY off from these discussions in recent years. Most of our friends and family are richer than we are, either because they chose careers that mesh well with having a family (nursing) or didn’t have kids at all. We each have one frugal, investing parent and a sibling who married high earning women – my partner, with the part-time-working former SAHM partner is the odd man out in that respect. The ones that aren’t richer make as much or more money than we do, but carry high debts – and they know we’re cheap & debt free, my partner’s unwillingness to spend money is pretty famous. Careful treading. Most relatives we have are in rough shape due to less than wise decisions compounded by unexpected breaks. We’ve given counsel when asked, which is ignored. It’s sad. Some people learn best through natural consequences. I’ve learned to never volunteer financial advice to family and/or friends. Most of the time it falls on deaf ears if they aren’t ready to change their bad financial habits. If someone asks me for my advice, I am glad to help them out. I give advice to family/friends. If they decide to take it or not is another story. If we can’t afford to do something, we tell our friends/family and they understand. My husband and I just started a budget and an emergency fund. We’ll be slowly starting to debt snowball our credit cards to get them paid off. We want to be debt-free within the next few years. Anyway, it takes discipline, but by doing it this way, I save a bundle on my vacations! As far as giving advice to family and friends, I never give it unless I’m asked. However, if I’m asked to loan a friend money, then IT IS my business how they’re managing their finances. My biggest peeve is someone who complains that they don’t have the money to pay their bills, yet I see them drive away in a fancy automobile they can’t afford. @MikeS: Agreed. I seemed to have cleaned up my health and my finances all at the same time. Health was easier/faster, but finances are catching up. My friends and I constantly have discussions about money- saving, earning, investing. It’s always a good idea to talk to others about your financial plans. Sometimes we miss things that others can easily point out. However, I feel like some people are not completely open about discussing finances and their opinion should be respected. It seems with finances like health, people are always looking for the silver bullet. They are not willing to make the simple sacrifices to improve their financial situation or their health. A lot of people seem to think there is some kind of magic out there to make things better. Reality is it takes sacrifice and discipline to growth your net worth. But people want instant gratification and until that changes they will remain in debt. they say smart people don’t need advice and dumb people won’t take it. this has been my observation. meta-ignorance is hard to alleviate. I’ve definitely had this experience as well. It’s surprising to me how judgmental some “smart” people are about how paying off debt is a bad idea. I’ve had some people really react negatively when I’ve mentioned that I intend to pay off my low-interest student loan debt early. My unscientific observation would be that half of the “smart” people are actually in credit card debt, etc. and have no business lecturing anybody about the most efficient way to manage debt. I have only recently gotten savvy enough with my own finances to feel qualified to offer advice to others. I’m still in enough debt that I can’t claim to be an expert, but I’m making great progress. One thing I hear too much is people that don’t consider all money when they are trying to pay off high-interest debt. When you are repaying debt, every purchase you make is effectively financed at your highest interest rate, regardless of where the money came from. If you divert available money from debt repayment so that you can buy a want “out of pocket” you might as well have swiped the card for it. This works the same way in the positive direction. Every dollar you save and put towards debt earns interest at your highest interest rate you are paying. I usually leave that topic alone. With most people I just end up hearing the same consumer driven talking points. I say I try to live on less than I make and it doesn’t seem to register with some people. I find that when I bring up the concept of living debt free most people think they are numbers geniuses when it comes to leveraging debt and credit card points. Then, if I say something along the lines of putting as much money down on a down payment on a house I get the response of “well the money you end up saving on your monthly payment is neglidgable” or “My morgage is at 5.1433245%!!!! I can make more investing in (insert preferred investment vehicle here)!” When I ask them about where they are making over 5% on their investments in this market I can never get a straight answer. @DJ: That was incredibly sweet of your wife to take the time and work out a payment system for the bride. @Floridian: Sorry to see the conversation hit a raw nerve and cause a family strain. I think you did a great job by just leading by example w/o pushing the topic on them. I hope the situation gets less stressful! @Tricia: Great idea of pitching it as why you’re happy to have your finances under control. Letting people to decided for themselves on handling their finances is the way to go. @Hannah: Having moral support can be the budge that gets some people started. I really appreciate you sharing your philosophy on encouraging friends. Great analogy. I consciously follow one simply guideline when my friends talk about their problems with me- I offer no opinion unless I am asked for one. I only give positive support of what they’re trying to do and don’t comment on even the most obvious flaws in their plans of action. If they’re telling me about a problem, they are obviously painfully aware of it, and even if it doesn’t look like they’re trying hard enough or doing the right things, the last thing they need is a friend judging them. Even if I might have potentially helpful information, I believe that my moral support will be more valuable than my practical advice. The hardest part of making a change in your life is overcoming the psychological barriers that go along with it, and no amount of good advice from friends will help with that. I mentioned to a coworker once how thrilled I was that I was now eligible to contribute to the 401k plan, and some of the reasons why. Pretty soon she started to contribute too. Also, I will mention how helpful my budget has been in helping me save money and why, also I will recommend mint.com to people since that it what I am using now. This has always been a very delicate topic with my family (most of whom are horrible with money). I’m a CPA, so people ask me for advice ALL the time. And I am always glad to help! But GOD forbid *I* start a money conversation with anyone in my family! With them, I have learned to keep my mouth shut! But even when asked for advice, I’ve found I can get into sticky situations. Take the last year’s events with my sister-in-law. Before getting married to my brother, she came to me in tears about HIS financial situation and wanted my advice (and it wasn’t the first time – but all I could tell her was that, unless HE asks for help, there was really nothing either of us could do to help if he wasn’t willing to talk about it. I did tell her that if he was having problems, if I was her, I wouldn’t marry him until he opened up about them and agreed on a plan to fix them). A couple of months later (but still before the wedding), the topic of family budgeting came up and I shared with them how the hubby and I approached it when we got married – gave them both some tips on budgeting together. A few days later, I got a rather nasty email from her – She blew up at me (tore me a new one, so to speak!) and told me that they didn’t need any help and they got their financial lives perfectly under control thank you very much. WHOA! I was a bit dumbfounded. I realized then that something bad MUST have been going on. I was VERY curious as to what, but wasn’t touching it again with a 10 foot pole! Eventually, I found out that SHE was the one with financial problems. She had blown all of the money in a trust fund from her father, cashed out her *albeit small* 401K, and had run upwards of $20K in CC debt in less than 3 years – and had nothing to show for it (and didn’t tell my brother until the day after they were married). Apparently I touched a nerve by offering some helpful family budgeting tips. My sister-in-law still won’t talk to me (she’s too busy eating crow), and I am still afraid to talk to my brother when he calls up for financial advice (which he is doing on a weekly basis now as he tries to fix their – what was HER – financial problems). I used to post helpful financial articles on facebook on a very regular basis, and provide spreadsheets, tips, tricks, and general help/advice to anyone who asked. Her blow up scared me away from talking finances with ANYone for a very long time. I only recently started posting financial stuff on FB after a couple of friends asked why I no longer posted that stuff. But I still don’t post as much as I used to. Money has become an even more sensitive subject given recent economic events. More and more people get offended when you talk about saving or budgeting. Many people have been forced to wake up to their financial situations lately – and a lot of them don’t like what they see. If you want to talk to your friends about money, just start a blog. They will open up to you like never before. If I want to initiate a conversation, I just ask for their advice. It could be something small like, how do you use your credit card rewards? If it’s someone older, I always make sure to ask them what they wish they did with money when they were my age. You get some very interesting responses. Approaching friends and family with money issues is always a tricky situation. Even people your own age with no connection can be difficult. Case in point: My wife is a wedding photographer and she recently booked a wedding with a couple who is funding their entire wedding through credit cards. The girl offered to pay the entire amount for the photography fee up front if she could put it on her credit card. My wife felt bad for the girl and talked with her a little bit about responsible credit card usage. End result, the girl worked out a monthly payment plan to have the fee paid off before her wedding, and no additional charges on her credit card. This situation turned out for the best, but certainly not an easy conversation!